The new report from Hewlett Packard Enterprise subsidiary Aruba Networks also found the healthcare industry was the third most advanced in IoT implementation, predominantly putting it to work for patient monitoring and to reduce costs. The majority of healthcare organizations will adopt Internet of Things technology by 2019, according to a study from networking provider Aruba, a Hewlett Packard Enterprise company. 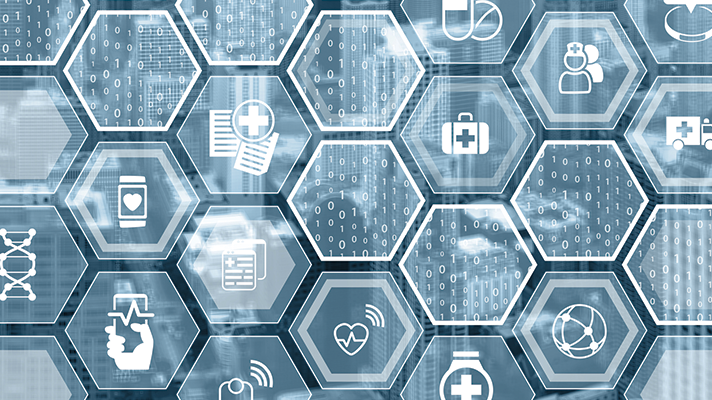 Currently, 60 percent of healthcare organizations worldwide have introduced IoT into their facilities, which will increase to 87 percent by 2019, the study found. The healthcare industry is the third most advanced in IoT implementation. According to the Aruba report, 73 percent of organizations use IoT for monitoring and maintenance, which was ranked as the number one IoT use by 42 percent of executives – higher than all other industry sectors. This highlights the importance of IoT-driven patient monitoring in healthcare. Other providers are using IoT for remote operation and control (50 percent) and location-based services (47 percent). Another 67 percent of executives plan to connect their IoT devices using Wi-Fi, the study found. Most commonly, IoT is used for patient monitors (64 percent), energy meters (56 percent) and X-rays and imaging devices (33 percent). Eighty percent of providers currently using IoT have increased innovation, while others have improved visibility across the organization (76 percent) and increased cost savings (73 percent), according to the study. Despite its potential and benefits, the healthcare industry is still struggling with security, especially in the IoT arena. Eighty-nine percent suffered and IoT-related security breach, while 49 percent of respondents struggled with malware. The study also found human error and DDoS were also concerns. Still, healthcare organizations are confident the benefits will outweigh the risks. Fifty-seven percent of respondents believe IoT will increase workflow productivity and save costs, while 36 percent think IoT will create new business models. Meanwhile, 27 percent feel IoT will improve colleague and patient collaboration. "While IoT grows in deployment, scale and complexity, proper security methodologies to protect the network and devices, and more importantly, the data and insights they extract, must also keep pace," said Chris Kozup, vice president of marketing at Aruba, said in a statement. "If businesses do not take immediate steps to gain visibility and profile the IoT activities within their offices, they run the risk of exposure to potentially malicious activities," he said.